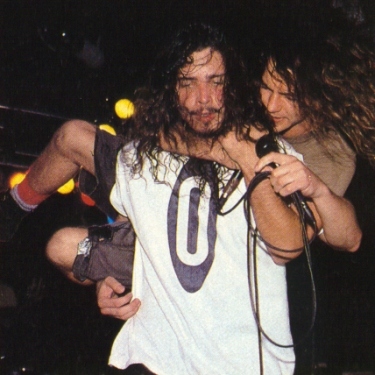 You managed to miss the title of the story, the story, and the caption over Chris Cornell on the actual picture. 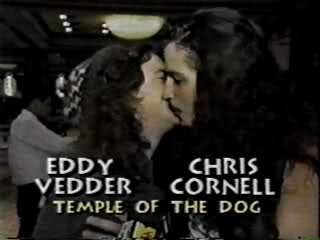 You're referring to a link where you will indeed find Anthony Kiedis and Eddie Vedder. Good luck with that. What Is The Beastie Boys Song “Brass Monkey” About? Rock Stars Wearing The "Rock Star Blouse"
"Who's The Man" That Got Slammed in the Beastie Boys "Shadrach" Video??? Muse Pull A Nirvana And Make A Mockery Of An Italian TV Show "Quelli che il Calcio"
What Do Foo Fighters & Red Hot Chili Peppers Drummers Do Before A Rush Concert??? Alternate Cover For Australian Version of Foo Fighters Album "There Is Nothing Left To Lose"